The most compelling aspect of Tinker Tailor Soldier Spy comes from its atmosphere. It’s something that was remarkably effective in Tomas Alfredson’s previous film, Let the Right One In, and proves to be an even more vital aspect in Tinker Tailor Soldier Spy. Alfredson’s sense of visual space, where ceilings are low and colors are shades of brown, blends well with the film’s murmuring conversations and methodical pacing. 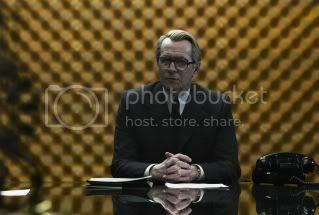 Adapted from John le Carré’s novel and adapted by Bridget O'Connor and Peter Straughan, Tinker Tailor Soldier Spy takes the concept of the procedural to a new extreme, wherein the investigative process is a slow and complicated one. 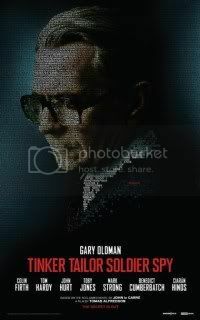 I’ll freely admit that there’s a good portion to Tinker Tailor Soldier Spy that I simply did not grasp upon my viewing. It’s a labyrinth of a film, where much of its detective work leads to dead ends or empty strands of detail. The dense quality of its narrative is enhanced by the film’s rather arbitrary cuts from present to past, wherein we see the film’s lead investigator, George Smiley (Gary Oldman) reflect on a pivotal Christmas office party while contending with the minimal details of finding a mole. And while the screenwriters wrap things up rather conveniently by the film’s conclusion, I was never able to complete embrace their attempt to keep the audience in the dark for such a long period of time. The biggest problem I had with Tinker Tailor Soldier Spy stems from an incident that ends up being the causal element behind the film’s investigative narrative. Alfredson does something interesting in allowing the audience to believe that a character had died, only to reintroduce him later. It’s problematic because O’Connor and Straughan aren’t bridging the narrative in a concise way – there’s something disappointingly arbitrary and manufactured about the maze that we’re in. Alfredson wisely takes visual cues to establish setting and the leaps back and forth in time, but the lacking screenplay handicaps the clarity of the whole picture. Beyond Alfredson’s sharp directorial instincts and Maria Djurkovic’s impressive set design, the film’s cast is of a master class of understated acting. Stand-outs include Benedict Cumberbatch as a nervous rookie agent who is enlisted on Smiley’s task force and Tom Hardy as a reckless agent whose reputation has been tarnished as a result of being in the wrong place at the wrong time. What both actors, along with Gary Oldman, benefit from is a rich sense of character development. All three characters manage to come out of the impenetrable atmosphere as three dimensional characters. That’s not the case for the remaining cast, including Colin Firth, Mark Strong, Toby Jones, and John Hurt, who unfortunately fade into the London fog faster than Tinker Tailor Soldier Spy fades in my memory. When Jeff Bridges won his Academy Award for Best Actor for his performance in Crazy Heart, there was little debate to if he would win. After decades of nominations, starting with his excellent work in The Last Picture Show, Bridges had established himself as a true Hollywood actor. He had earned his spot. He had paid his dues. He deserved recognition. Excuse the actual content of the performance (which, I must say, was very good); he could go no longer without winning an Oscar. Martin Scorsese’s quest for an Oscar was perhaps even more tragic. How this man could have gone without being nominated for his direction in Taxi Driver is beyond me. But he chugged along and produced his greatest directorial effort in Raging Bull. He failed to get the gold. This was then followed by subsequent nominations for Goodfellas, Gangs of New York, and The Aviator. No such luck there either. It always struck me as a cruel joke that Scorsese would be victorious for his direction in The Departed – his most stylistically flawed and directorially muted outing yet. This is often the case – talented auteurs who have a life work of exceptional performances and/or films find themselves getting recognized for efforts less than the trail behind them. It’s a flawed system, but it is part of the appeal of the whole awards season – there are narratives to mined and extracted. When Colin Firth won for his performance in The King’s Speech, there was a sense of entitlement to the award. After all, the year prior, he gave an arguably better performance in A Single Man. But that was the year that Jeff Bridges had rolled out and annihilated any competition. It was Colin’s turn. And as part of a greater narrative, The King’s Speech ended up dominating the conversation over David Fincher’s critically lauded The Social Network. It's yet another rebuff for Fincher on behalf of the Academy, Fincher must be feeling a little anxious about when it will indeed be his turn for the award. Because when you direct something as technically proficient and stellar as The Social Network, well, I have to wonder when my turn would be too. 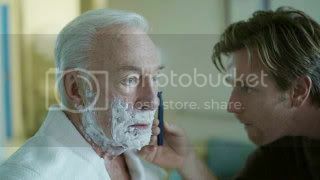 At this point in the conversation, there seems to be one concrete nominee that Oscar prognosticators can generally agree upon – it’s that Christopher Plummer’s performance in Beginners is virtually set. With a career that began in the 50s, Plummer astoundingly only has one Oscar nomination (The Last Station). From his performances in The Sound of Music to The Insider, Plummer stands as an actor who tends to get overlooked by voting bodies. While someone like Peter O’Toole, who has been nominated on 8 separate occasions (with 8 losses), at least he is in the conversation. With Plummer, there seems to be a need to recognize the unrecognized; the mere fact that he has been working as long as he has with only one nomination is enough to work a narrative around his Oscar bid. Plummer’s bid took an unexpected hit yesterday though when the trailer for Stephen Daldry’s Extremely Loud and Incredibly Close dropped. The trailer hints at a performance from another actor who has seen constant slights throughout his career – Max von Sydow is now in contention. With such a storied career, he too, has only had one Oscar nomination for the film Pelle the Conqueror. I’m a bit more familiar with Sydow’s career, and found him to give excellent performances in both The Diving Bell and the Butterfly and Hannah and Her Sisters. Both performances went unrecognized. There’s a narrative to be mined out of these two. Both Plummer and Sydow are of the same age and have contributed their part in the language of films. They have starred in landmark features and have worked their way through smaller independent works. 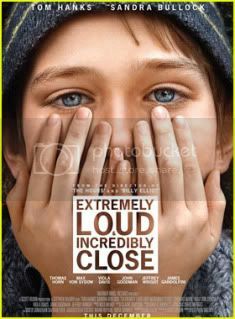 Extremely Loud and Incredibly Close largely remains a question mark at this point, but the credentials are there. Plummer may hold a slight edge now, but we’re still very early into the Oscar season for there to be a clear cut winner, and frankly, I sense that the conversation could shift to Sydow’s favor by December. Speaking of Extremely Loud and Incredibly Close, I have to wonder if there’s any director with the sort of track record that Stephen Daldry has. He has made three films, Billy Elliot, The Hours, and The Reader. All three films have snagged Daldry the coveted Best Director nomination. None have secured him the win. It’s interesting, in so much that there, again, can be a narrative mined out of Daldry’s shortcomings. I’m hedging my bets that Daldry’s film will not be nominated for Best Picture, but is it feasible for Daldry to get nominated for direction? Given the nature in which the Best Picture landscape has changed in the past year, and the general disagreeable tone I got out of Extremely Loud and Incredibly Close’s trailer, I’m sensing that the film won’t be much of a play and will ruin Daldry’s streak. It’s all speculation at this point, but that’s the nature of the game. If there’s one director that certainly deserves recognition, it’s Terrence Malick. Having perhaps reluctantly accepted the role of cinephiles' new director of worship following the death of Stanley Kubrick, it’s not hard to understand the following that Malick has. Of course, this is coming from someone who worships at the altar of Malick; so again, I have to put my feelings aside on these sort of things. But there certainly seems to be a group of people out there who are going to vote in his masterwork The Tree of Life into the Best Picture category, and with that, I find it difficult that anyone could neglect that craftsmanship that is employed in creating the film. 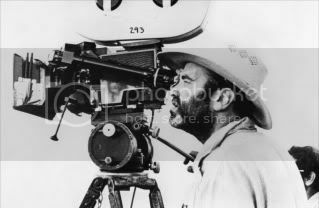 Malick is the film, and the very specific and methodical way it is constructed leads me to believe that he will get recognized for his direction. It would mark only the second time he will receive notice for his stellar directorial work in a career that has spanned four decades. At the center of Malick’s film is a performance from Brad Pitt that has shown a different side of the actor. Well, I shouldn’t say that entirely, as Pitt has, for the past few years, made some incredibly interesting character decisions that certainly adds credibility to his legacy. Perhaps taking himself more seriously, the actor has worked with an array of talented directors such as Joel & Ethan Coen, Andrew Dominik, and David Fincher to develop and hone his craft. With Fox Searchlight pushing Pitt for supporting in The Tree of Life, I sense that he will be the year’s only double nominee, as his lead performance in Moneyball has garnered him praise as his best performance to date. In a year where the Best Actor field is as crowded as it is, a nomination is a reward in itself. But there’s a certain novelty to the possibility of getting nominated in two separate acting categories, and given what Pitt has done for Hollywood in general, a win might be the self-congratulatory pat on the back for his good work. Pitt would have his hands full to take a potential win from possible nominees in Christopher Plummer and Max von Sydow. And the Best Actor field is no guarantee either, particularly when you’re dealing with one of an overdue actor like Gary Oldman. Having had a career resurgence with his work in Christopher Nolan’s Batman franchise, Oldman seems to be in line for his first nomination. Having often been considered a snub for performances in Sid & Nancy and The Contender, Oldman stands as an actor whose time may have finally come. With Tinker, Tailor, Soldier, Spy, the actor is receiving some of his best buzz yet, and has been amongst the key figures in the Best Actor race to get a nomination. 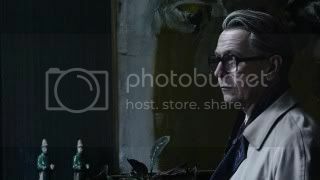 Given Tinker, Tailor, Soldier, Spy’s December release date and growing buzz for Oldman, I’d say it looks like he’ll finally score that nomination, perhaps on track to securing that win. As you can see, the site is still in construction, so excuse the clutter. Check out the Contenders section for my most up-to-date predictions. Check out next Monday for another addition of Cinema Chatter. Until then, check out upcoming reviews for The Hustler, Branded to Kill, and In Cold Blood!